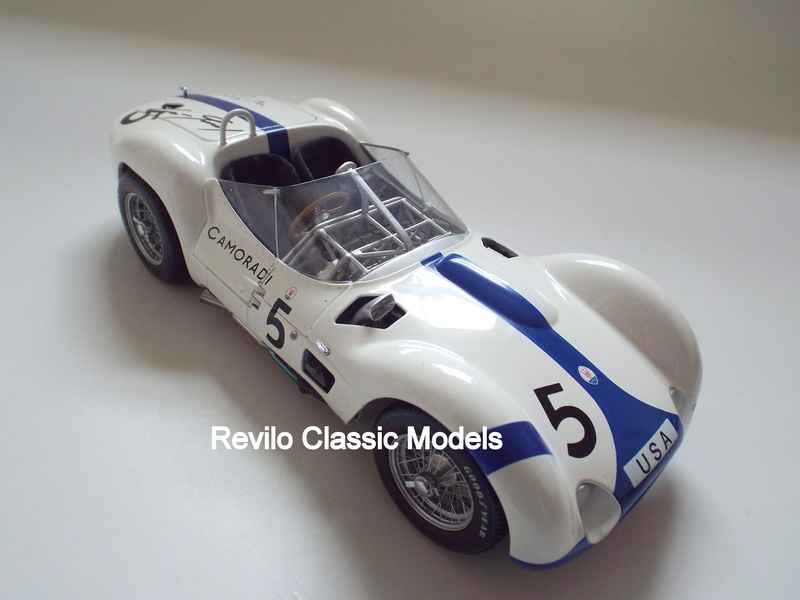 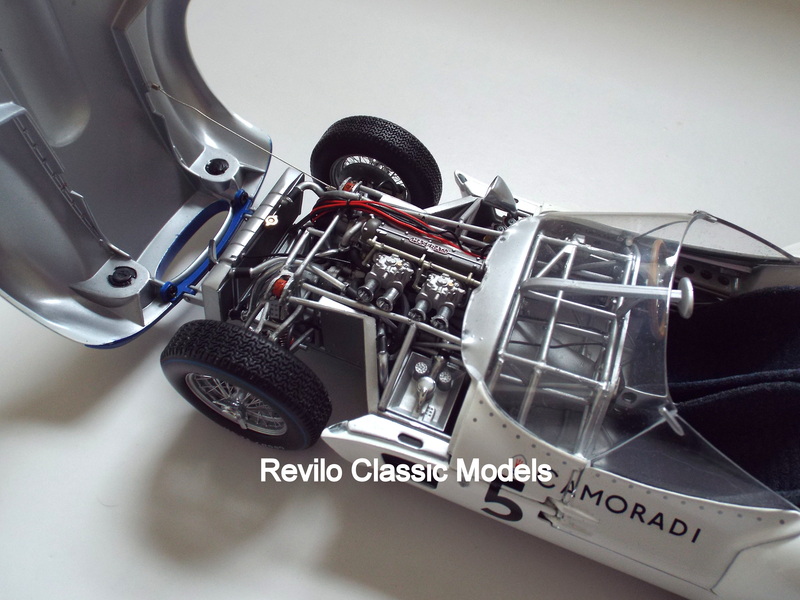 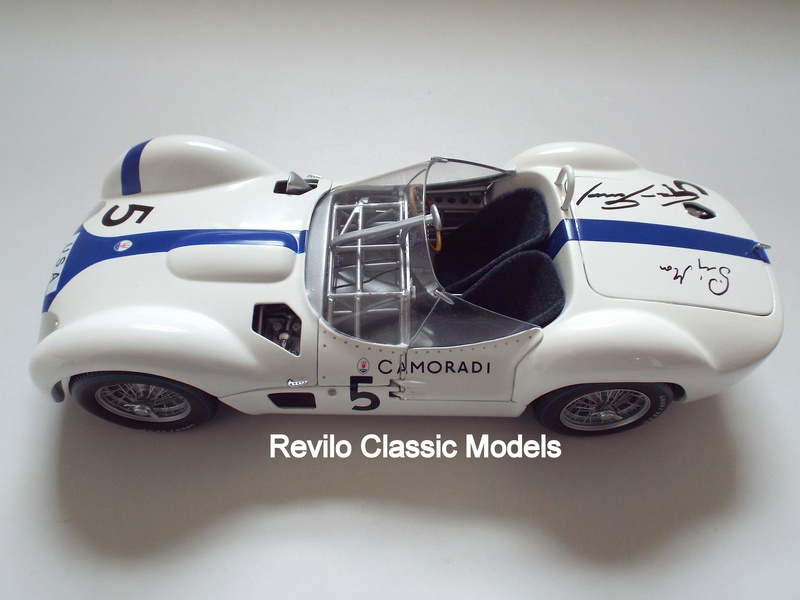 This is a 1:18 scale model of the Maserati ‘Birdcage’ Tipo 61 by Minichamps. 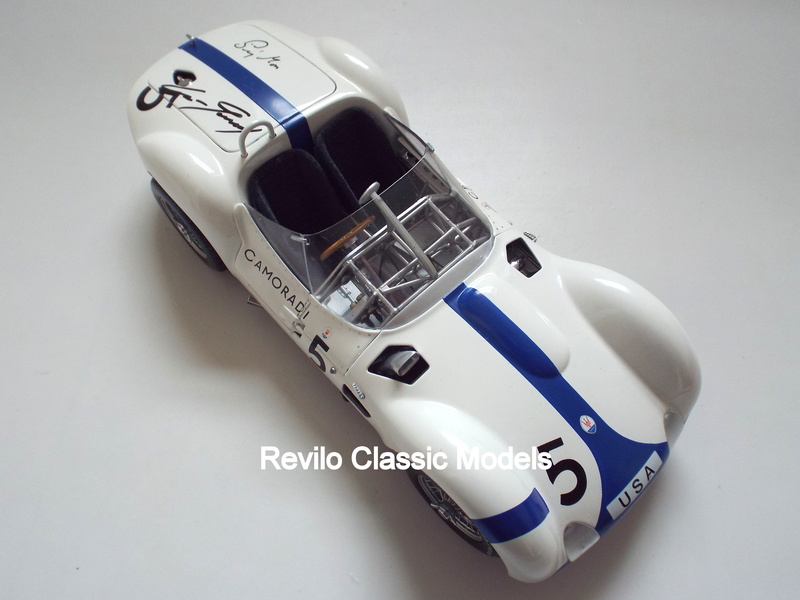 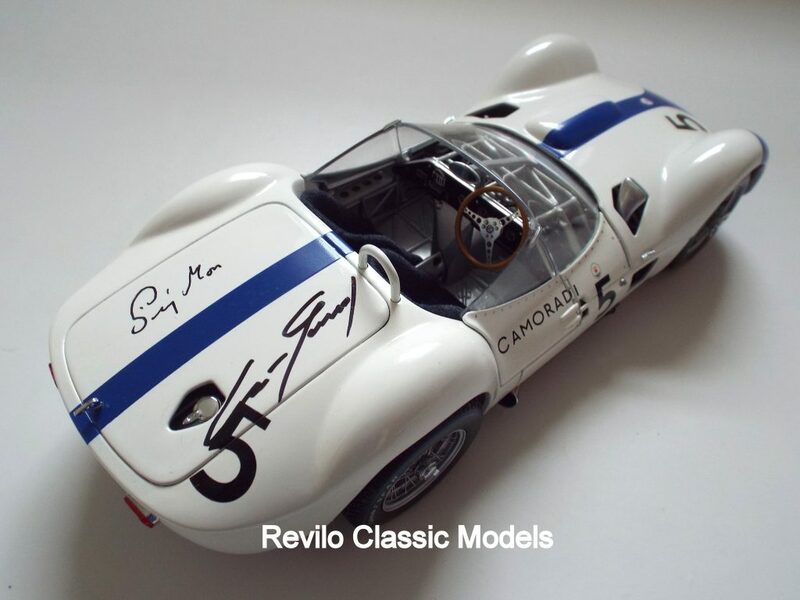 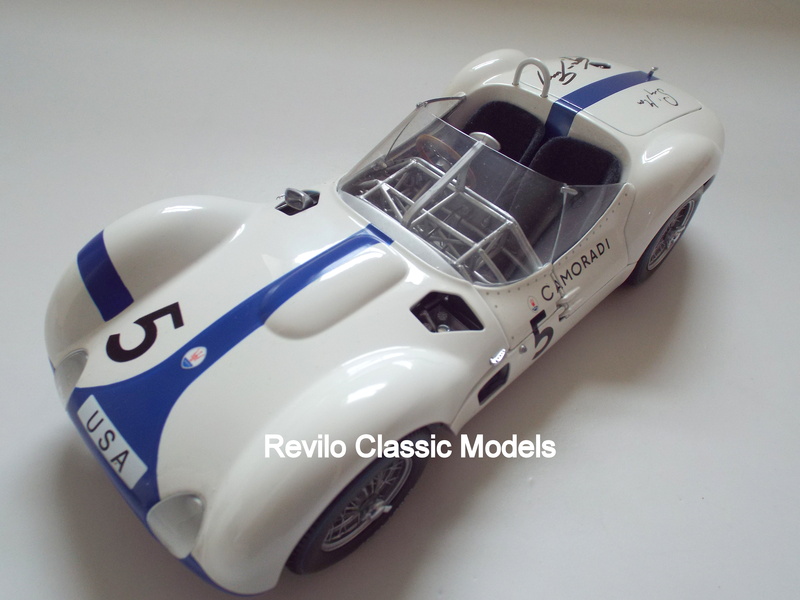 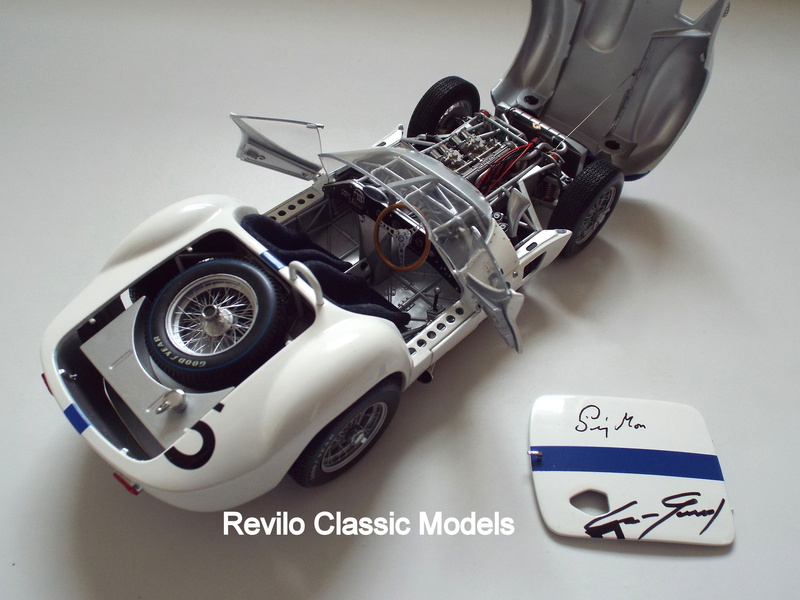 An extremely rare model is incredibly signed by both Stirling Moss and Dan Gurney. 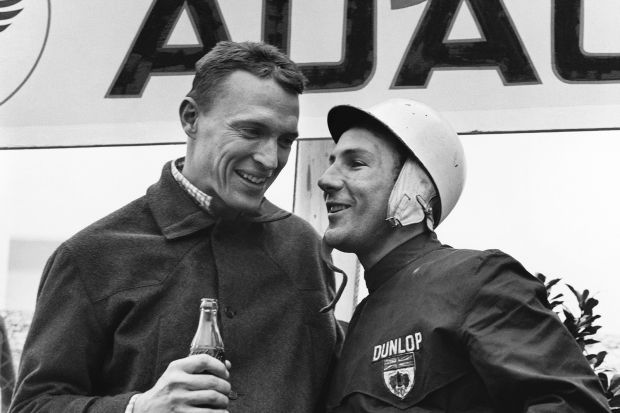 They raced together and won the 1960 1000kms race at the Nurburgring (see photo). 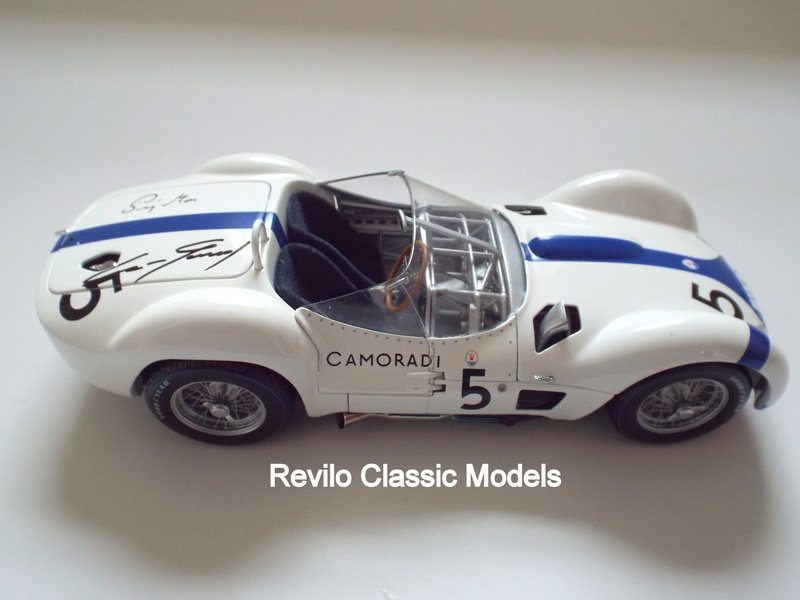 The Birdcage made it’s first appearance on the race track in 1959 and won on it’s first outing with Stirling Moss at the wheel. 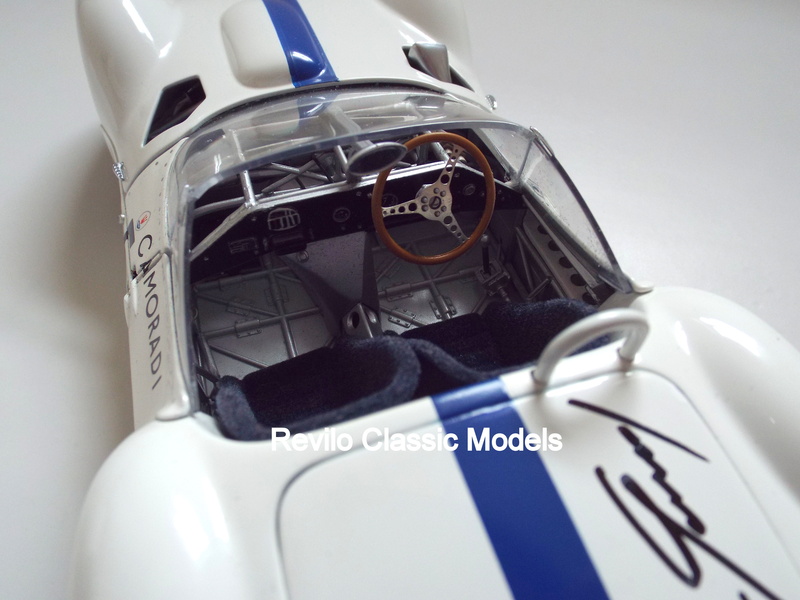 The model is new and comes with the original packaging, box and certificate of authenticity for the signing by both drivers.